There’s less than a week to go until the 2019 Great British Fleet Event – an unmissable event for anyone involved in fleet. 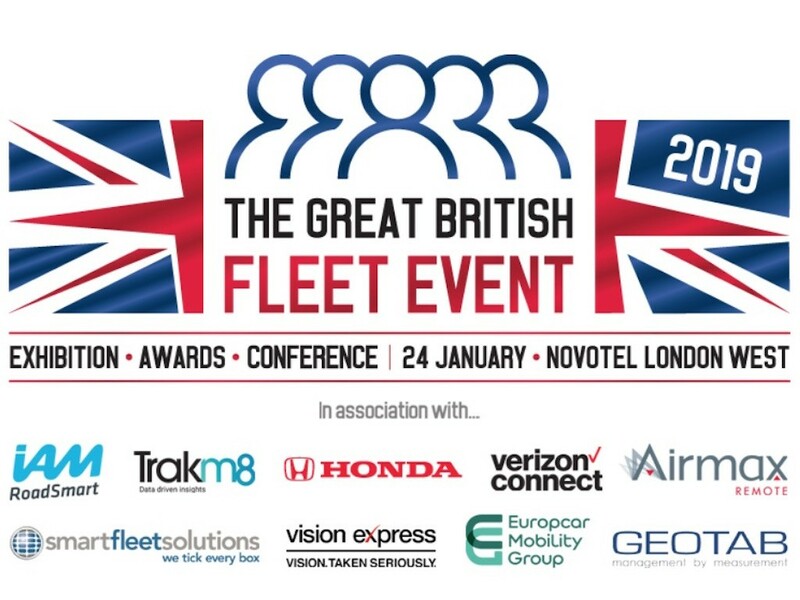 Registering for the event – which takes place on Thursday 24 January 2019 at the Novotel London West in Hammersmith – will make sure you benefit from the latest insights into how best to run fleet and corporate mobility operations. 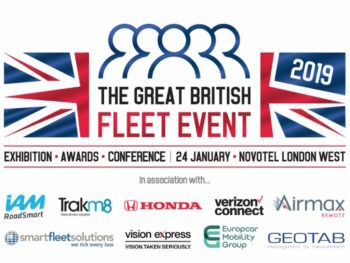 The event includes a fleet industry-focused exhibition, with exhibitors including IAM RoadSmart, Smart Fleet Solutions, Europcar Mobility Group, Verizon Connect, Vision Express, Trakm8, Honda, Geotab, Airmax Remote and many more. Fill your boots with fleet-focused Masterclass Conferences – our 4 x 1 hour-long sessions cover topics ranging from air quality and electric cars, to technology and the future of fleet management. Our comprehensive line-up of more than 16 industry thought-leading speakers include Caroline Sandall (deputy chairman, ACFO), Peter Eldridge (director, ICFM) and Toby Poston (director of communications and external relations, BVRLA) plus many more. In addition, Simon Roberts, principal city planner at Transport for London, will offer insight into a government viewpoint. Fleet World’s Great British Fleet Awards round out the afternoon, where the year’s fleet cars and industry innovations will be recognised and celebrated.